Student Affairs Unit collaborated with INJAZ UAE to launch a workshop entitled “Innovation Day” today for the benefit of AFU and invited students from Canadian University in Dubai. The event held at the AFU Auditorium is organized to guide students in finding innovative solutions through creative thinking. Starting at 9:00 in the morning until 3:00 in the afternoon, a number of discussed important topics encouraged students to think creatively and to work as a team. 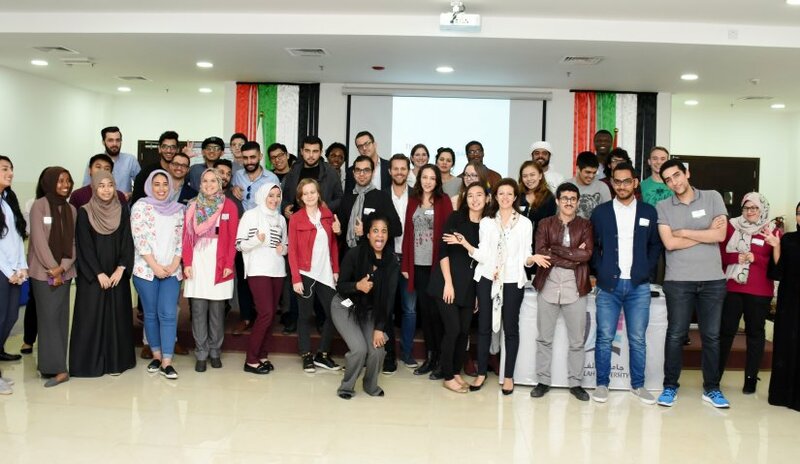 A group of volunteers from McKinsey Consulting imparted experiences and knowledge with the participants to encourage broadening of their horizons and directing them towards a future in entrepreneurship. The students gained several aptitudes during the presentation such as presentation skills and how to start a business in an unconventional way. Al Falah University strives to host similar workshops to help students apply theoretical knowledge to practical applications.